The Kinsman KRG3 holds 3 individual electric or acoustic guitars/basses respectively, safely and effectively. 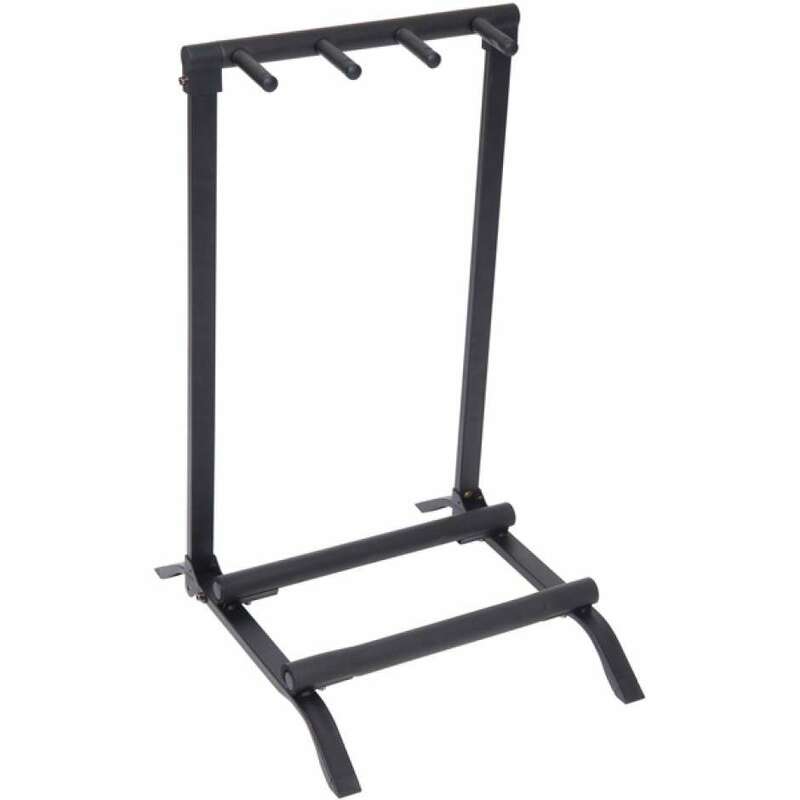 Compact and lightweight, these stands are ideal for home and/or studio use and yet are sturdy enough to withstand the rigours of life on the road. With thick, cushioned body and neck supports hold your instrument gently but securely, the KRG3 will become an essential part of any guitar enthusiasts collection.